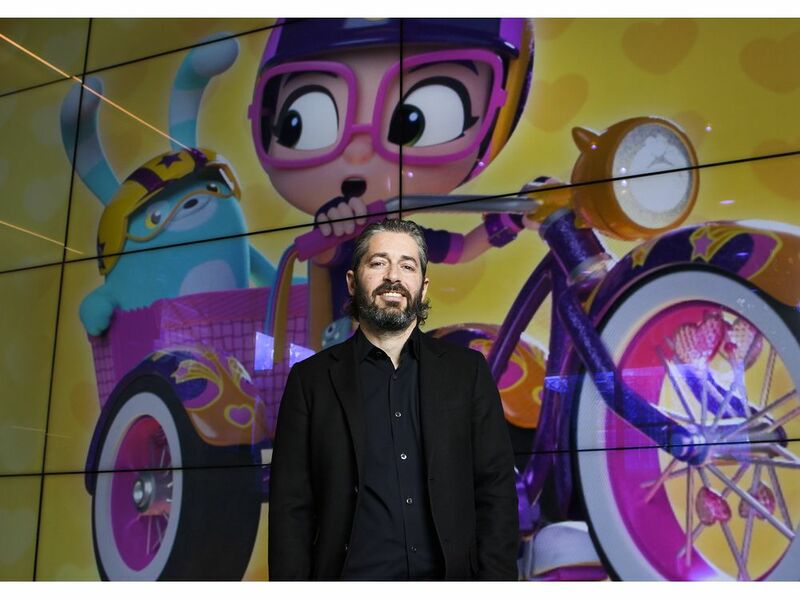 TORONTO — “Aspirational” is a word that comes up often as Spin Master co-founder Ronnen Harary describes the spunky lead character of his company’s latest preschool TV series Abby Hatcher. That realization helped turned Spin Master’s other preschool series Paw Patrol into a licensing and programming juggernaut, and Harary would love a repeat with Abby Hatcher. 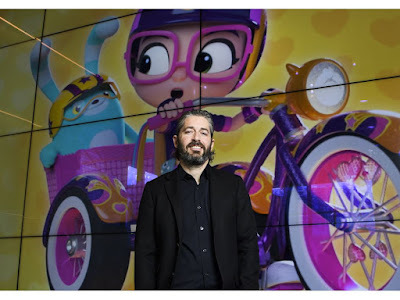 “We’re about play and storytelling,” Harary told the Financial Post during a recent interview at Spin Master’s airy, light-filled downtown offices, where boxed toys greet visitors in the lobby and giant plush Chase and Skye dolls from Paw Patrol nestle into auditorium seats overlooking the cafeteria. A few blocks from Spin Master’s headquarters, actor Macy Drouin erupts in coos while watching spritely animated creatures bound onscreen at Abby Hatcher's audio production studio, Vapor Music. Even though she’s well beyond the target demographic, Drouin admits she and her friends are also fans of Paw Patrol, which they watch with her friend’s little brother. For those who’ve escaped the grip Paw Patrol holds on many households with young children, the show centres on a 10-year-old boy and his pack of rescue dogs, each of whom have special abilities and cool vehicles. They include Marshall the firefighting Dalmatian, Chase the German shepherd police dog and Skye, the cocker spaniel pilot. In addition to reaching beyond the traditional preschool demographic, Harary says he’s been surprised by data that suggests Paw Patrol is equally appealing to boys and girls. Still, when Rob Hoegee pitched Abby Hatcher as a humour-filled series led by a courageous and caring girl, Spin Master saw a chance to add “a girl-oriented” show to their roster, which also includes the boy-led Rusty Rivets. Abby Hatcher has been in development for close to four years to nail down the writing, cast, animation, music and direction. But of course, Abby-themed toys are on the horizon. Harary says plushies will likely land at the end of the year, and more products are on deck for 2020. Harary is also bullish on the recent re-launch of the Bakugan toy line and TV show, and continued growth for Paw Patrol, which hits TV Tokyo in April. “It’s the first North American preschool show to come to Japan in over 10 years,” he boasts of the series, seen in Canada on Netflix and the provincial broadcasters TVO, B.C.’s Knowledge, City Saskatchewan, and Tele-Quebec, and on Nickelodeon channels globally. Abby Hatcher airs regularly on Nickelodeon USA and premieres in Canada on Monday, February 11, 2019 on TVO and Knowledge Network at 7:57am. PAW Patrol and Rusty Rivets airs regularly on Nickelodeon channels worldwide. Abby Hatcher will roll out on Nickelodeon’s international channels and branded blocks throughout 2019. More Nick: Nickelodeon USA Premieres 'Abby Hatcher'! Follow NickALive! on Twitter, Tumblr, Reddit, via RSS, on Instagram, and/or Facebook for the latest Nickelodeon Preschool, Nick Jr. and Abby Hatcher News and Highlights!